I’ve been a volunteer with Big Brothers Big Sisters for two plus years now, and one thing that’s always been a hit with my little brother is my car. First there was the Toyota MR-2 Spyder; now it’s a Mazda RX-8. (On these last couple of points, the RX-8 is admittedly a compromise, but I have two little kids of my own now). And it absolutely MUST have a stick. All the badgering and all the cogent arguments came to nothing. A couple of weeks ago, he informed me that all of the cars in his fleet (he plans to be a pro football player, and so he'll be able to afford multiple cars) are going to be automatics. Even the BMW 6-series! Sheesh. I’m still working on him, but what's with these kids today? Turns out maybe it’s their role models. Daniel Craig, the new 007, can’t shift the gears on his Aston Martin DB5. UPDATE: Tim Blair notes that Daniel Craig is also afraid of guns and boats. This new James Bond movie is going to resemble a Merchant Ivory production. The five year old has suddenly conceived of a passion for karate. She is bouncing around the living room, attacking furniture and occasionally kicking the eight year old by "mistake." She is begging me to send her to karate school. The Warrior Monk is relieved. He has been worrying about her for well, years now, but even more so since he played Barbies with her yesterday. She had her Barbie ask the Ken doll he was charged with whether he wanted to come play in the hot tub with her. When Ken eagerly accepted, Barbie kept coming up with reasons to put him off, including a vague previous engagement with "Jer." See! I said, she already knows how to defend herself. No he says. Karate. That'll do the trick. First, they abolished their fishing methods (no more nets!). Next, they mucked with their spring duck hunting. But the final straw was outlawing their chewing tobacco. But the 26,000 residents of the Finnish Aland islands have the power to sock it to their tormentors, the European Union And they're now threatening to use that power to veto Finland's upcoming attempt to ratify the EU constitution. The constituyion must be ratified by all 25 member states before it can go into effect. So far, less than half have taken the plunge. Unless the Alanders get their ducks in a row (and their fish and chew too), Finland is unlikely to join the ratification parade. My perception that the five year old's hearing had improved was ... wishful thinking. So I'm busy putting my powers of wishful thinking to work to convince myself that ear tube surgery is no big deal. All kids have issues and aren't we fortunate that hers appear to be correctable! Piece of cake! Besides, once her hearing is corrected, she'll be able to perform heretofore impossible feats like notice when we're screaming stop! stop! at the top of our lungs and take corrective action before the milk pitcher topples. Every once in a while we get a yen to rearrange. 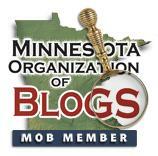 No, not our blog, which we anticipate will enjoy its classic circa 2003 look for many years to come. But the surroundings in which our corporeal presences reside get tweaked every few years. This year, we decided to move our TV to a different room. I know. HUGE news. Anyway, we faced a dilemma: our TV is hooked up to cable and we are very unhandy. Cheap too. We didn't want to pay someone to run the cable to a different room. Plus put holes in things. We hate holes. Turns out there are gadgets to send cable signal wirelessly through your house! We bought this one and it works! This post is a public service announcement. A bit lame too, but aren't all PSA's sort of lame? This morning's paper had several offensive cartoons that filled me with rage and made me want to chant slogans, burn cars and buildings, behead infidels, you know, the works. WHY AREN'T THESE AVAILABLE AT NETFLIX? It was the Halifax-based Salter Street Films that produced the hilarious television shorts "Talking to Americans," which cruelly mocked Americans' wild ignorance of events above the 49th Parallel. In one episode a staffer asked Columbia students and professors to sign a petition urging Canadians to discontinue the practice of abandoning the elderly on ice floes. Many did. BUT WILL TEXT MESSAGING STILL BE AROUND IN 2151? Nowadays Western Union makes its living charging folks for sending money, not for sending telegrams. So, after 145 years, it's decided to get out of the telegraphy biz altogether. John, who has enjoyed the literary mayhem inspired by this technology, may be saddened by the news. But cheer up! Despite your doubts, there may be hope for the replacement technology of text messaging: text messaging poetry. But then again, it's hard to top the very first telegram, which consisted of these four words: "What hath God wrought?"